In medium bowl, mix egg, milk, mustard, salt and pepper. Stir in bread crumbs and onion. Stir in beef. Shape mixture into 6 patties, each about 1/2 inch thick. Place patties on rack in broiler pan. Broil with tops about 5 inches from heat about 10 minutes for medium, turning once, until meat thermometer inserted in center reads 160°F. Serve burgers on buns. Even small changes can make a difference, so add whole grains whenever you can. 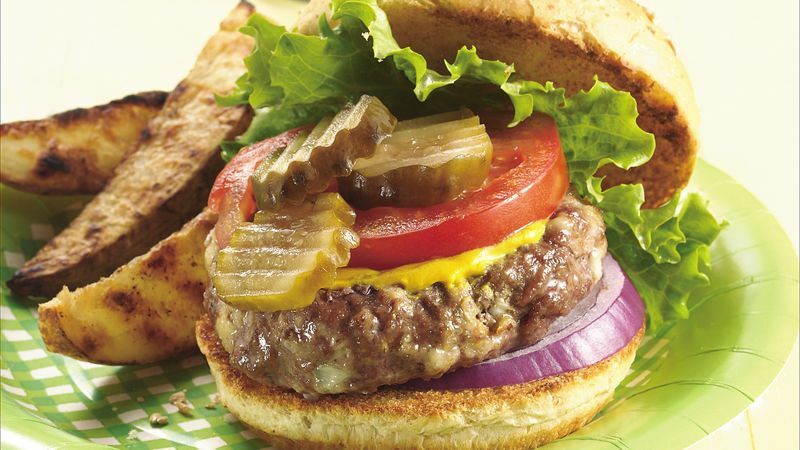 Use whole-grain bread when making the bread crumbs, and serve on whole wheat hamburger buns.